The Fort Lewis College Foundation and FLC cycling team couldn’t have found a better recipient for its inaugural Stan Rabbe Memorial Cycling Scholarship. Brennan Buiso will be the scholarship’s first honoree, FLC cycling administrator Dave Hagen said Tuesday in an email to The Durango Herald. Buiso graduated from Durango High School and will be a senior this upcoming season at FLC. He’s a BMX specialist who joined the Skyhawks’ tean when BMX was added as a collegiate cycling discipline by USA Cycling in 2013. Last year, Buiso placed 10th at the Collegiate BMX National Championships, FLC’s best finish in a BMX nationals Division I race. The race will take place at 9 a.m. Saturday at Santa Rita park to benefit the Durango Alzheimer’s Association. The race and scholarship are named after former Durango teacher Stan Rabbe, who was a cyclist and runner. 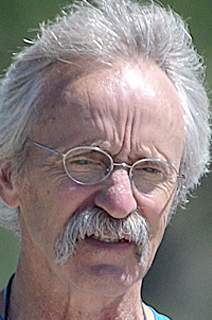 He also taught and coached at both Durango high and middle schools from 1984-2002. He wanted a scholarship fund be set up for local cyclists attending FLC while competing for the cycling team.